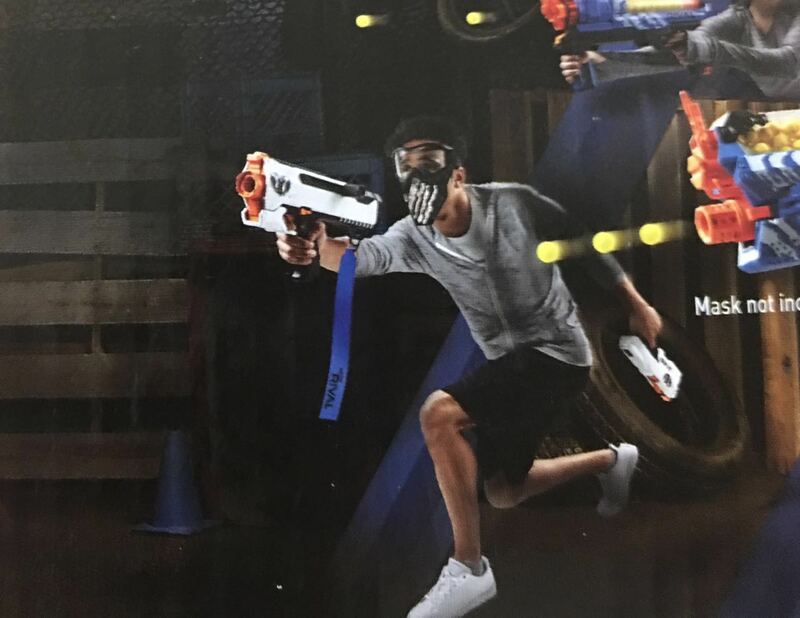 Again posted on Baidu, we have another image of an unreleased Nerf blaster. I must admit, when I first saw the image, I thought it was just the Phantom Corps Apollo, but it’s actually a brand new Rival blaster known as the Hellios. 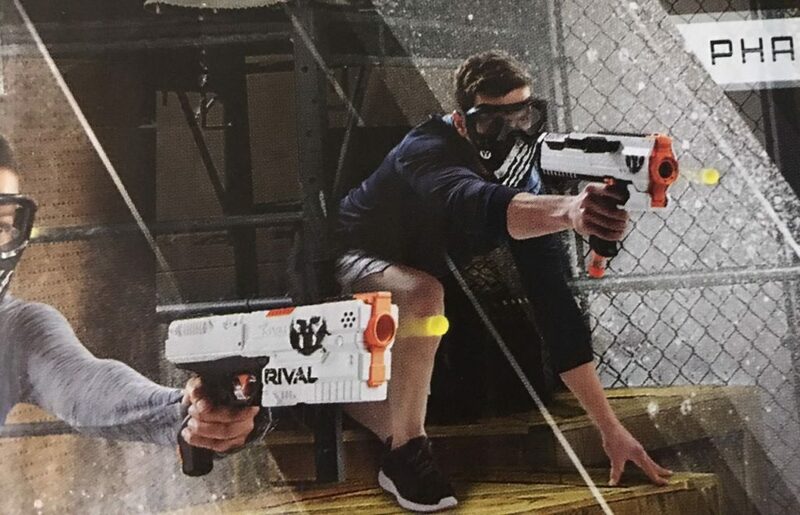 As mentioned above, this Rival blaster looks incredibly similar to the Rival Apollo. I initially thought this was a semi-automatic blaster, similar to the Hera, however the image below breaks that theory. 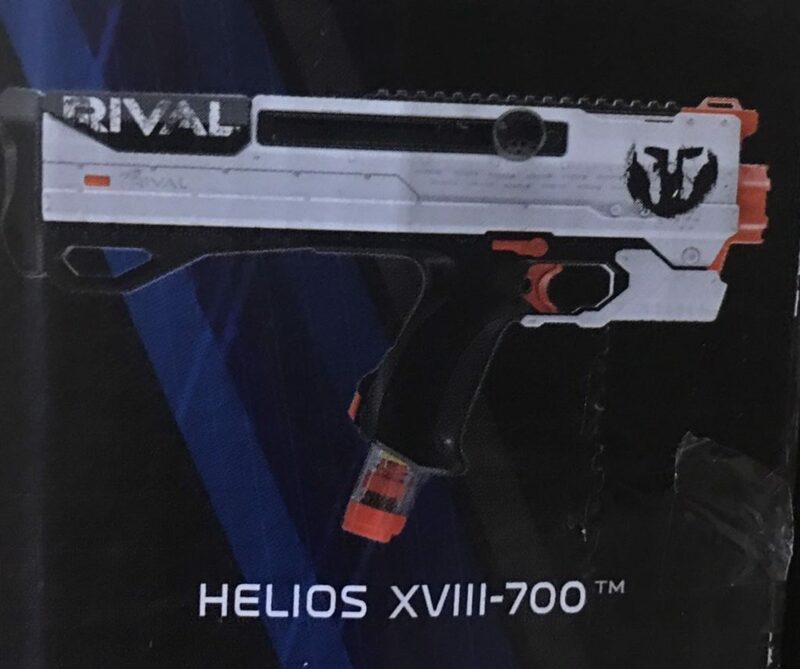 It appears that the Helios functions exactly the same as the Apollo, except the priming handle is placed on the side of the blaster. With such a close resemblance to the Apollo, it makes me wonder if this is the Apollo Mark 2? 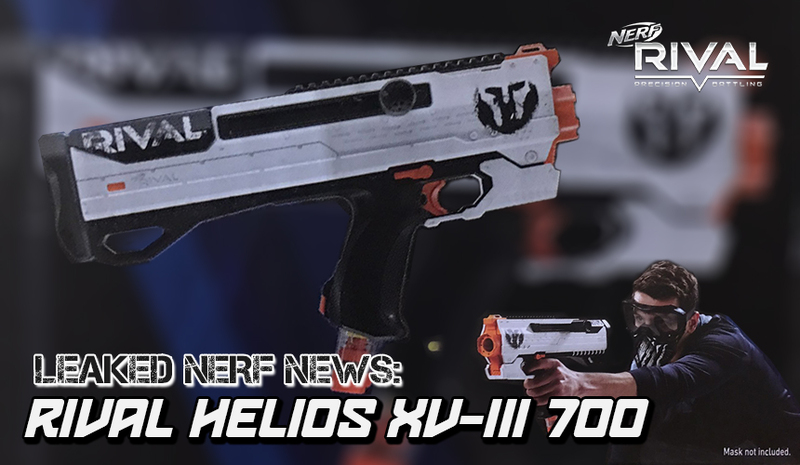 I know that the handle on the Apollo was quite cumbersome to prime, so maybe the Helios is Nerf’s solution. What do you guys think? Remember the Rival Deadpool Kronos blaster? Well, here it is with the Phantom Corps colour scheme! 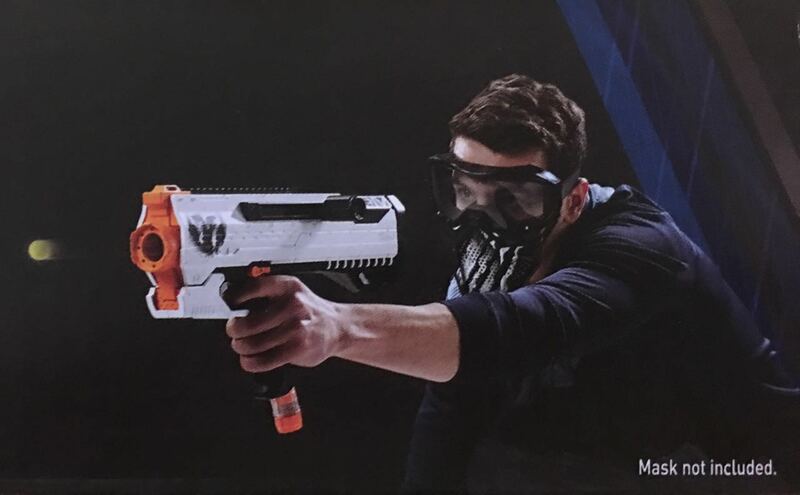 And here is another image of a model holding the Helios with the Kronos blaster in his other hand. Oh, and if you’re interested, Helios is the name of a mythological Greek deity that is the personification of the sun. This entry was posted in News/Updates and tagged 2017, apollo, blaster hub, helios, leaked, nerf news, rival on August 28, 2017 by JJ Reviews.